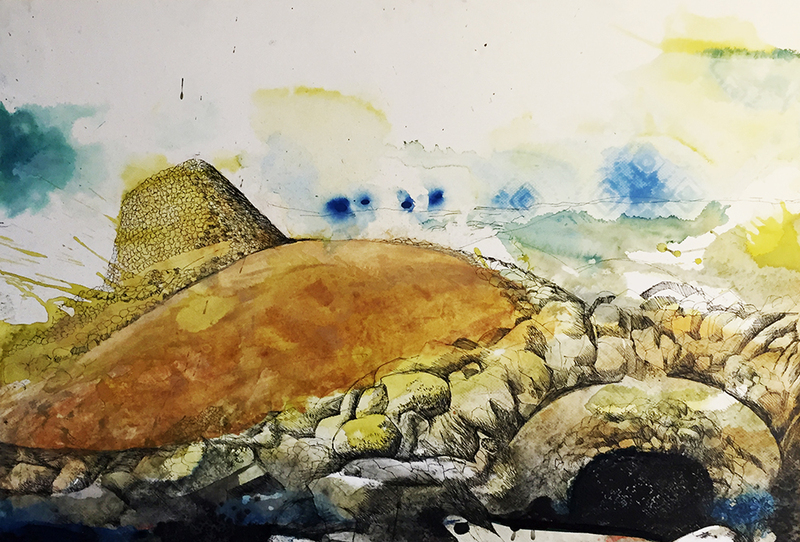 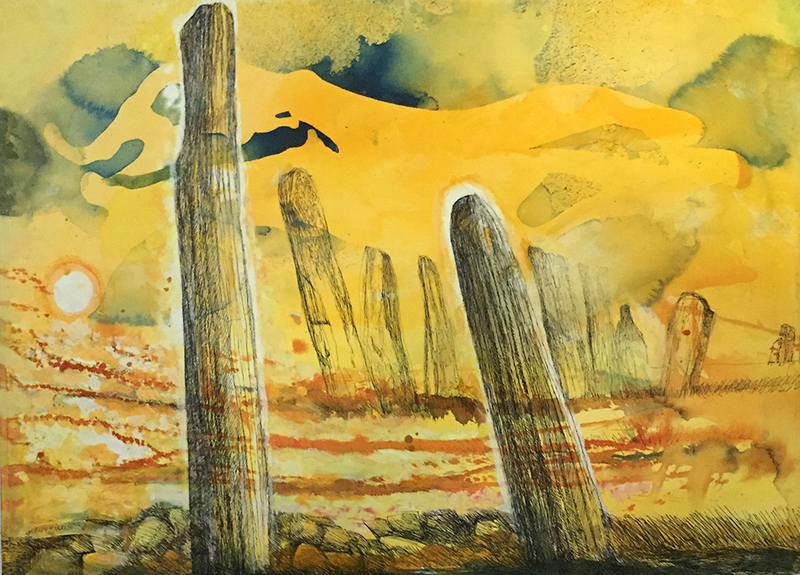 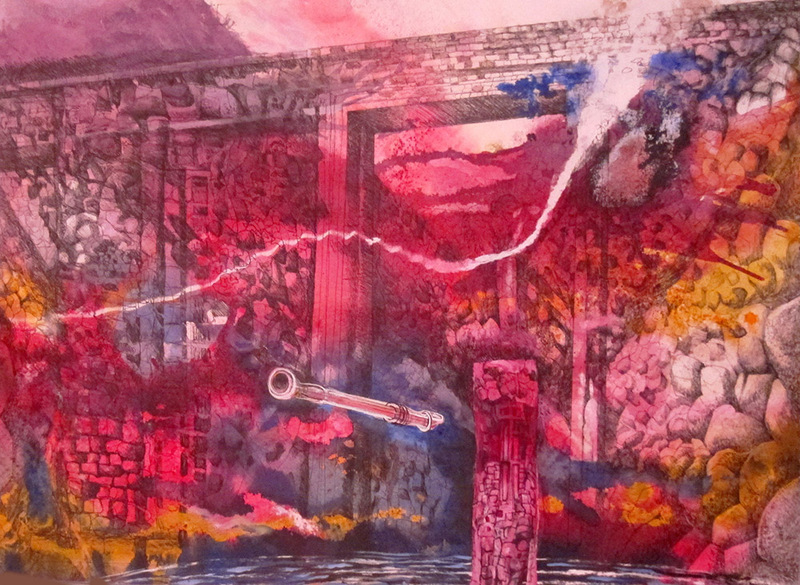 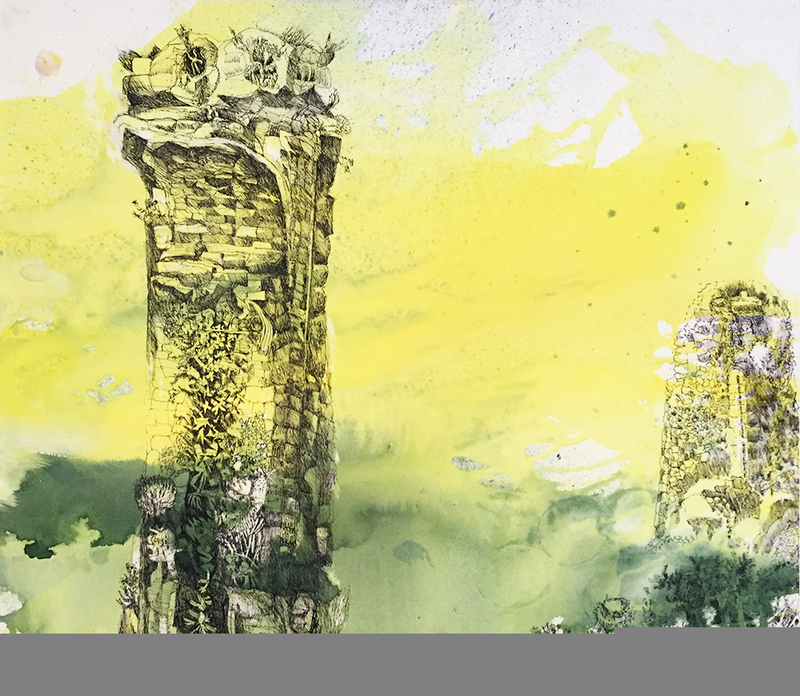 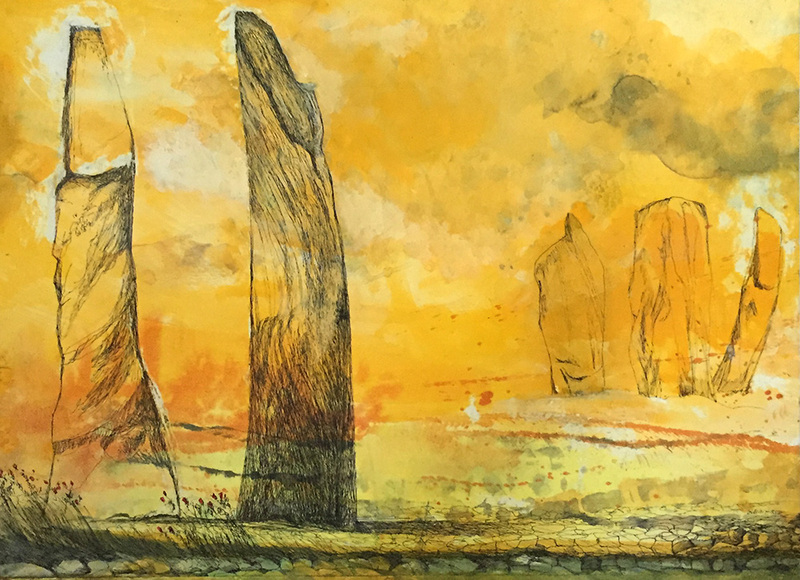 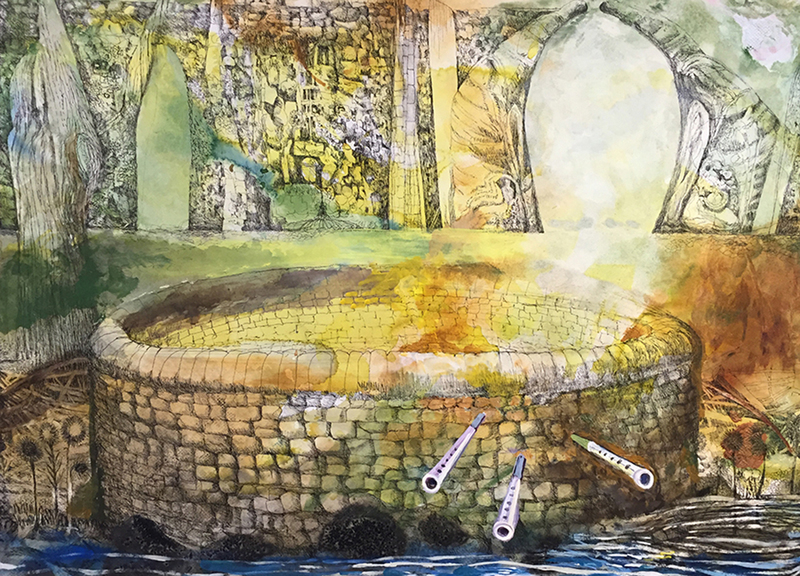 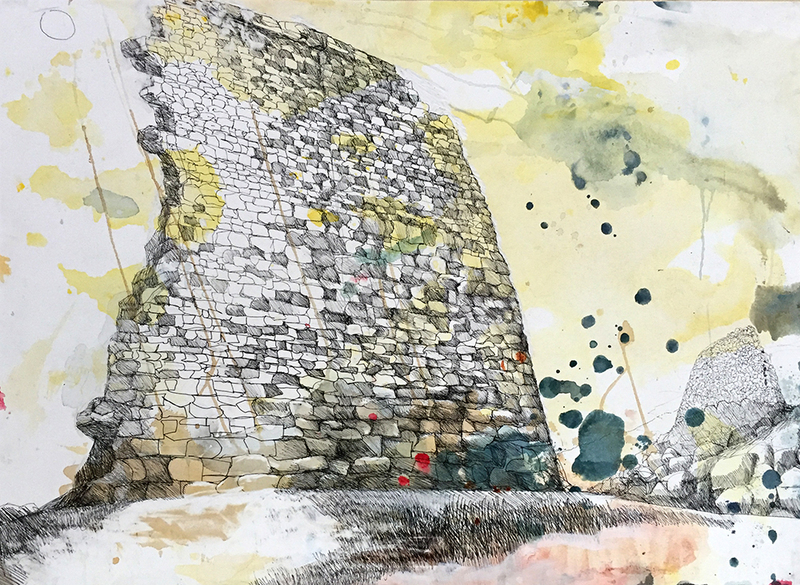 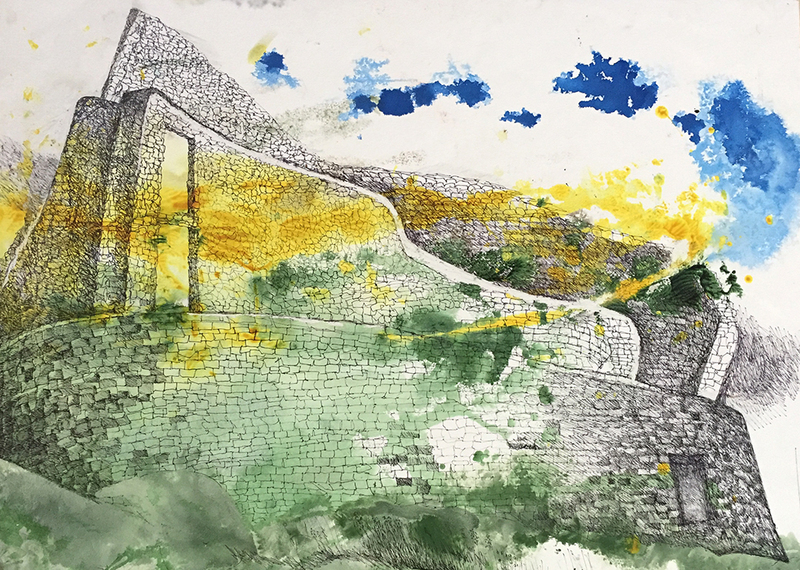 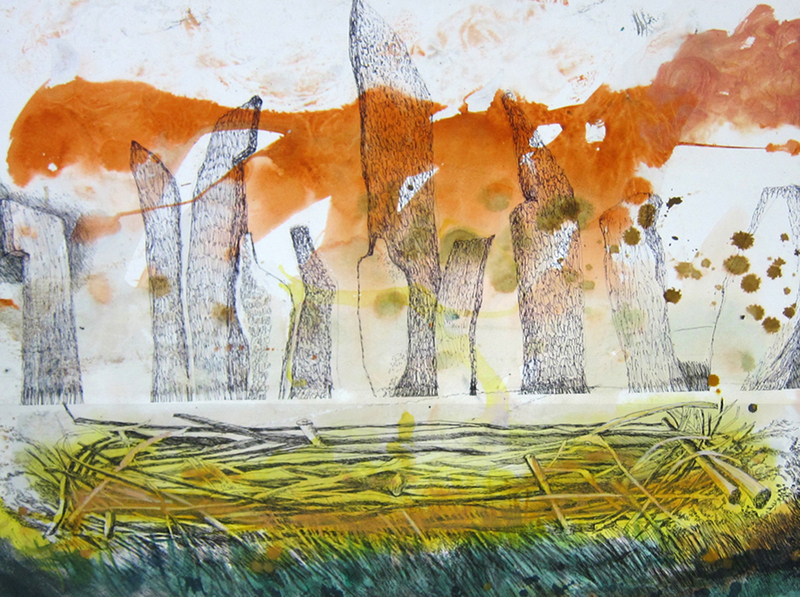 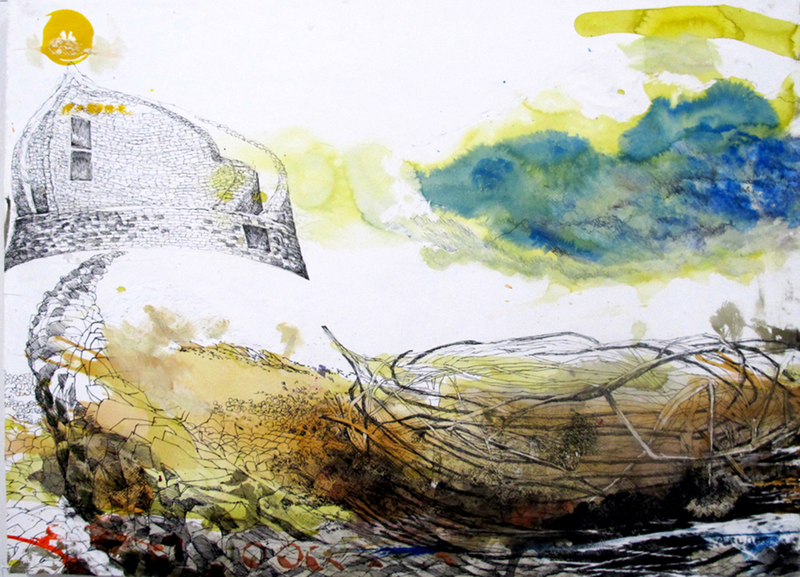 These drawings are inspired by Neolithic and Medieval ruins visited in the Scottish Highlands and the Outer Hebrides. 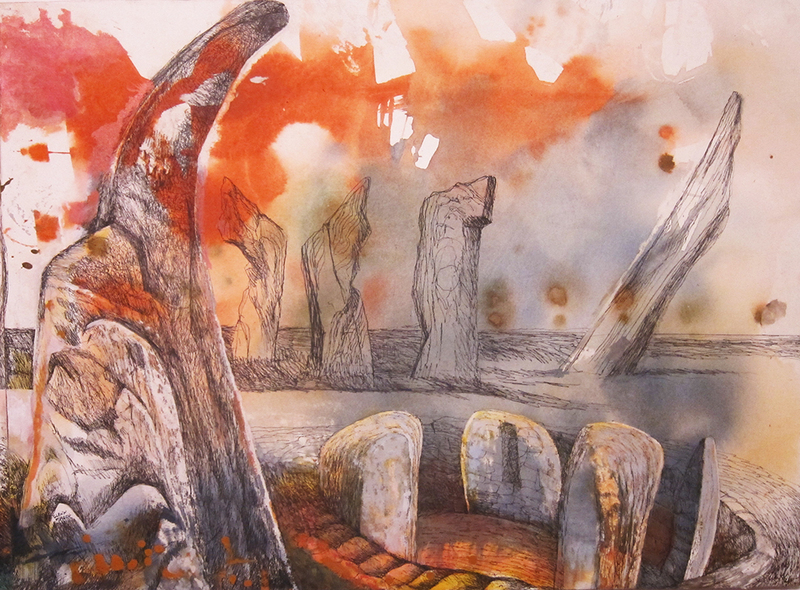 The stones live in the imagination as a plasma flux of memory and figurative gesture - spirits enjoying their solitude. 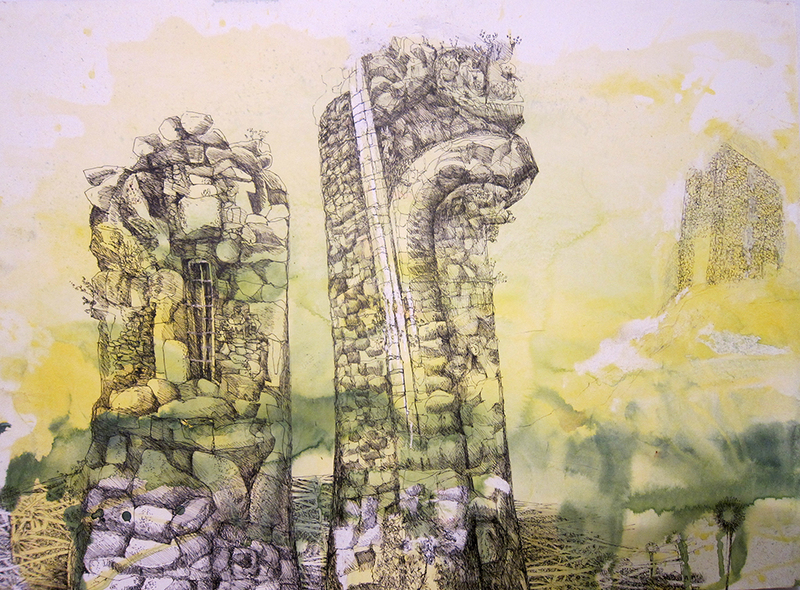 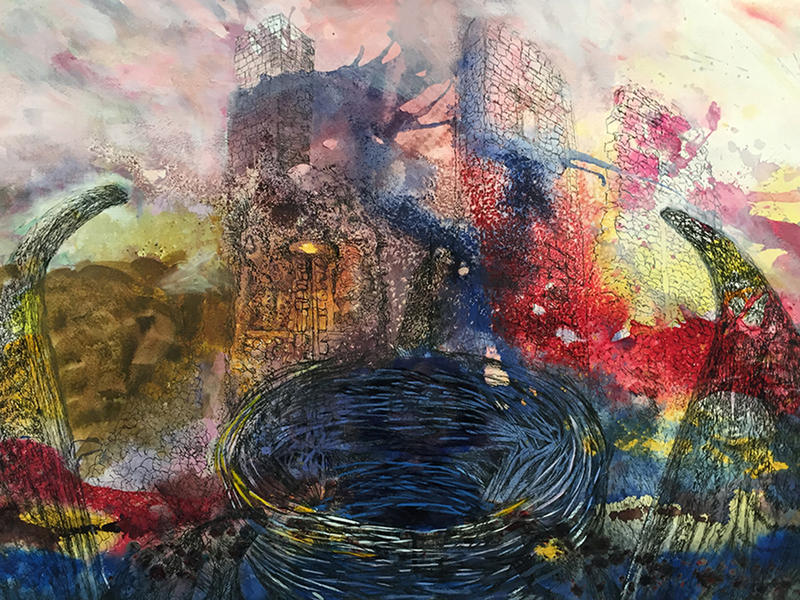 Iron Age (right panel) ink wash and ink on paper mounted on wood, 22"x30"
Broch (right panel) Ink wash and ink on paper mounted on wood, 22"x30"
Broch (left panel) Ink wash and ink on paper mounted on wood, 22"x30"
The Magic Flute - ink wash and ink on paper mounted on wood, 22"x30"
The Well - ink wash and ink on paper mounted on wood, 22"x30"
The Wall - ink wash and ink on paper mounted on wood, 22"x30"
Haunted Broch - ink wash and ink on paper mounted on wood, 22"x30"